As a big skincare enthusiast, I try to “influence” my family and friends to take better care of their skin. It’s not a frivolous pursuit - after all the skin is the body’s largest organ! It can be difficult for a complete newbie to buy into skincare though because there are so many products available now. Even I sometimes feel a bit intimidated and confused by all the options you can find in stores! This is why I am a fan of skincare sets - they usually cover all the basic steps, are united by a common effect or ingredient that can make them more effective, and are often cheaper than buying products individually! One of the skincare brands I love to recommend is Origins, which offers skincare lines tailored to suit every type of concern. I’ve actually tried different products from their various lines and find that they improve my skin even though they’re designed for a different skin type! It’s a great brand to explore for giftable skincare, and their recently released holiday sets can pretty much cover everyone on your Christmas list! She’s always been The Cool Mom and loves it when people mistake you for sisters. And, hija, everything in here smells so good that she want to tell all her amigas about it! Good work convincing him to slather on sunscreen, but all that exposure to the sun and the elements takes a toll on the skin, making it red, sensitive, and irritated. Stop him from stealing from your mom’s stash and get him his own stuff. Are they a new parent? Swamped with work and chasing deadlines? These fan faves from GinZing line contain coffee beans to energize the skin and make it look like they got their beauty sleep! Weddings are tiring, I know, but you really don’t want to go to bed with all that heavy makeup on. Origins’ cult-classic oil cleanser takes it all off in a jiffy, and the rest will help her maintain that glow past the honeymoon! From popcorn and DIY facials when you were teenagers, to wine and elegant skin-savers befitting working women, girls’ nights in have taken a step up! Now everyone can get their own mask without making a mess in the kitchen. Working in the kitchen is very physically taxing so your favorite chef could definitely use some extra TLC! Slathering on some pleasantly scented creams would be right on the menu. Don’t you wish you’d gotten started on skincare sooner? It’s especially important for teenagers to learn to take care of their skin as their hormones are in flux, and this pretty-in-pink set will help to keep their complexion clear, fresh, and glowy. 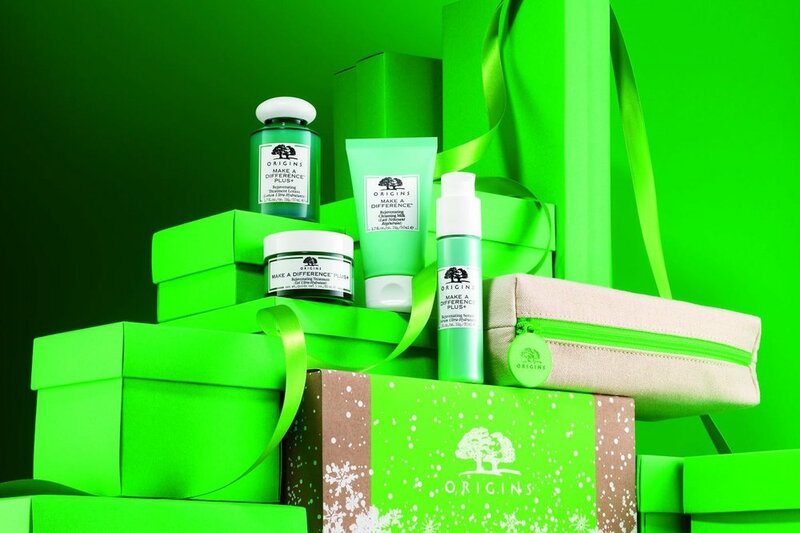 They will appreciate Origins’ efforts to end animal testing, recycled packaging, paraben- and phtalate-free formulations, worldwide reforestation projects, and net zero carbon emission goals by 2020. Get all your skincare needs covered, from top to toe! This value kit offers the full Origins experience, and it’s just the thing you need to unwind and enjoy over the much-deserved holiday break. Origins is available at SM Makati, SM Megamall, and SM Mall of Asia. Find more updates on their Facebook page. This story is brought to you by Origins. Beauty Roundup: Pantone’s color for 2019, makeup from ZARA, and an eyeshadow vault of our dreams!